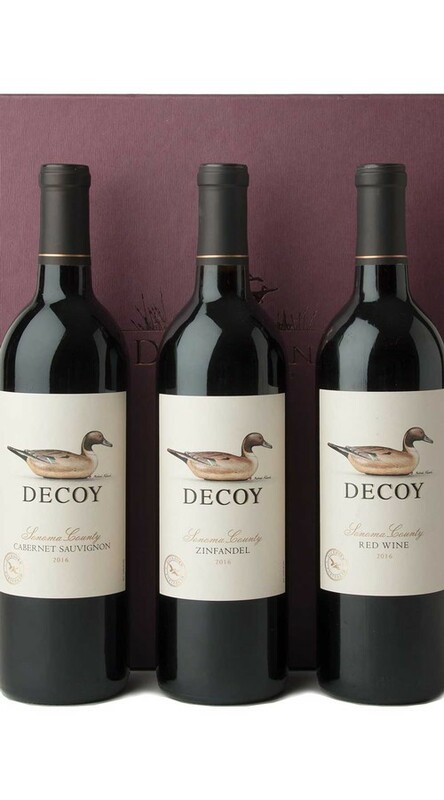 From estate grapes to French oak barrels, Decoy applies over four decades of winemaking skill to deliver wonderful quality and flavor at a remarkable price. Perfect for anyone who needs to come bearing gifts, this is the set for everyone on your list. Presented in an elegant gift box.